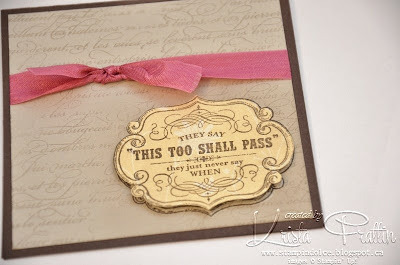 I used Early Espresso classic ink and stamped "This too shall pass"
3. Next stamp the same "This too shall pass" greeting on a post-it note. 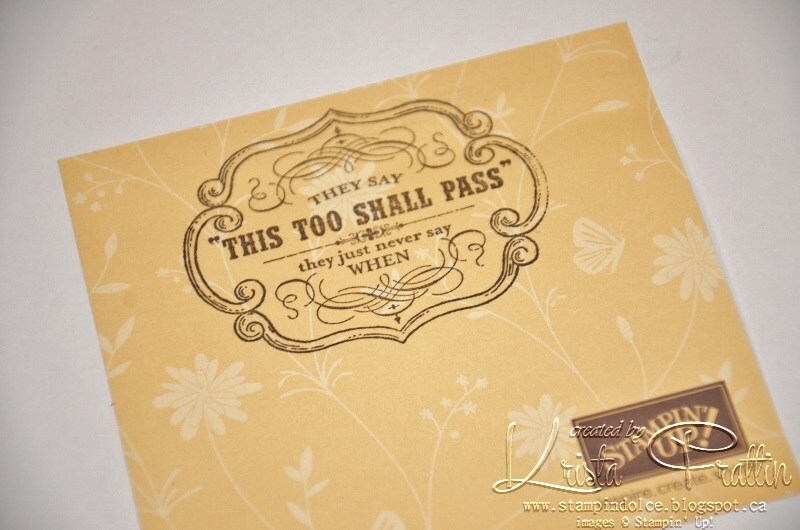 Quick tip ... stamp the greeting at the top of the post-it so that the "sticky" part is behind the image on the back of the post-it. 4. 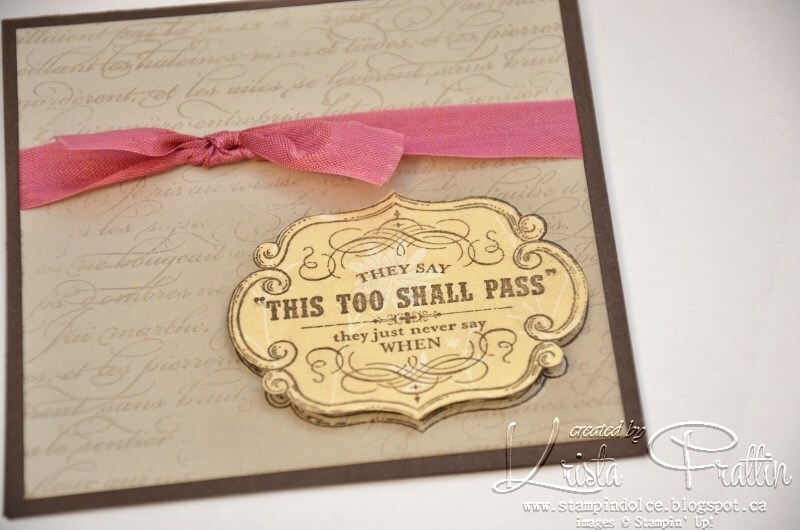 Use paper snips and carefully cut out the greeting on the post-it note. 6. 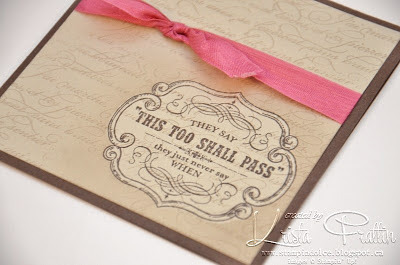 Ink a Stampin' Sponge in crumb cake and rub over the post-it note. Quick tip ... 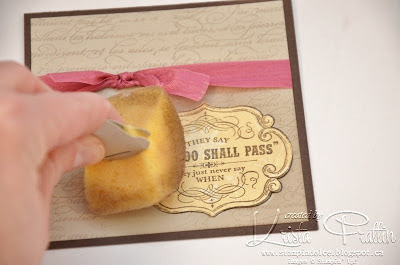 I cut my sponges in quarters and staple a punched piece of card stock at the end. 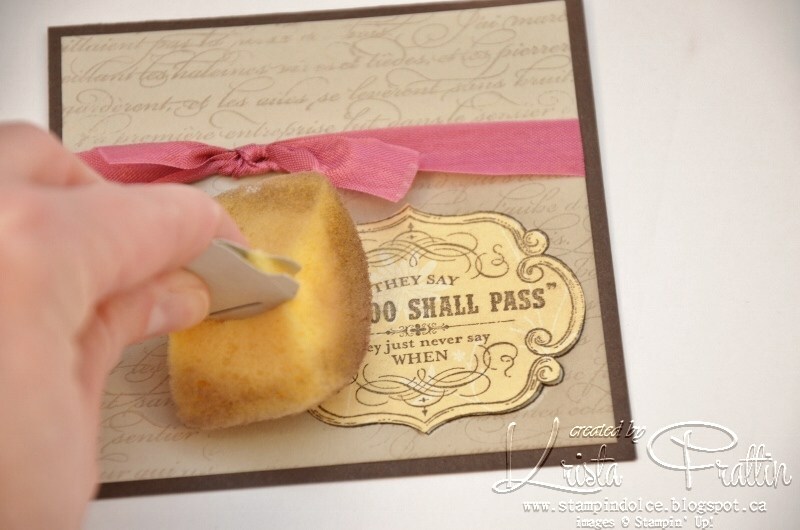 It gives me a "handle" and helps me keep my sponges organised. 7. Peel off the post-it and reveal the greeting with a little pop! 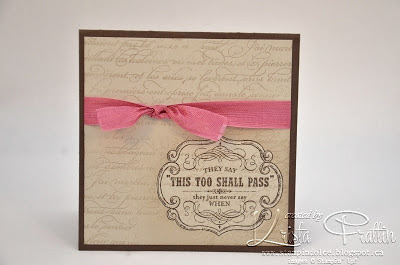 Seam Binding Ribbon $9.50 ... the color I used is discontinued. But 6 great colors remain. 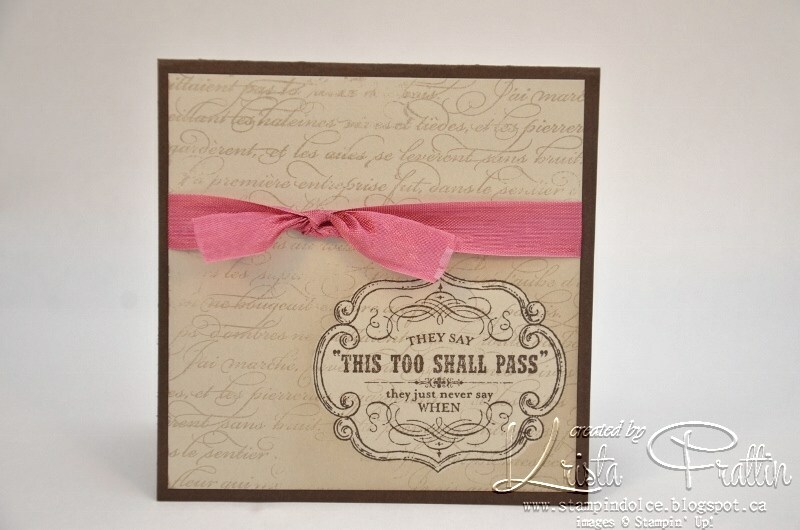 Check out my online store! Masking technique ideas are endless. I hope you have fun exploring masking.